The Brighton & Hove Food and Drink Festival is back with a tasty line up of foodie events for their ‘Spring Harvest 2012’, kicking off on 30th March until 9th April 2012, celebrating great Sussex produce and some of the best regional fare from across Europe. 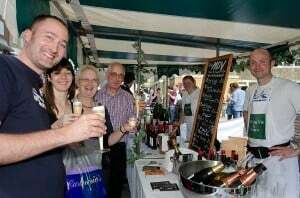 Tickets are now on sale for many of the events, starting with the Sussex Beer Festival at Pub du Vin, followed by the Sussex Gourmet Bus Tour on a vintage Routemaster bus and a programme of fun suppers, tastings, markets, cooking demonstrations and competitions, including the Great Brighton Cake Bake Off. Friday 6th and Saturday 7thApril, just before Easter Sunday, brings the Big Sussex Market and Live Food Show, the centrepiece of the festival, which is run in the city’s trendy North Laine and Brighton Dome complex and is free for the public to drop in and enjoy. This year, it will include a Children’s Food Festival including chefs from CBeebies ‘I Can Cook’, a community food area and the finals of the Brighton Mini Mix Off cocktail competition. A host of other fun events, will be taking place throughout the ten day festival, culminating in the first Brighton Fish Festival, in Bartholomew Square on Easter Monday 9 April. See all event details at www.brightonfoodfestival.com. 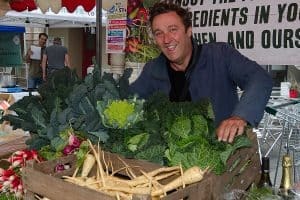 “This spring we will not only be showcasing the best of Sussex, but we will also be highlighting some of the great local produce of Europe, which is recognised under the EU Protected Designation of Origin scheme because of its authenticity and origin,” said Festival Director Nick Mosley. “We will also be hosting the first ever International Chef Exchange, which will see the the head chef from Drakes swap with the head chef at the Beaumont in Maastricht. Our guest chefs will prepare a gala dinner at their host restaurant and appear on the Live Food Show stage on Friday 6 April”. 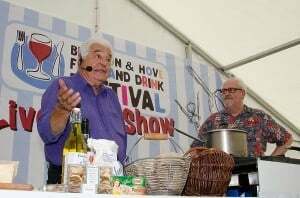 “There is so much to enjoy in our city and the surrounding countryside and we have created a festival programme which represents all aspects of our foodie hub on the south coast, so please do support us and come along and enjoy our events, many of which are entirely free to enter and enjoy” he continued. The Festival will also launch the third Brighton & Hove Foodie Awards on 30th March, seeking the city’s best restaurants, food pubs, cafes and independent food shops, run by Natural PR. The competition is based on public vote, attracting over 5,000 votes from local foodies, with winners revealed at the September Brighton & Hove Food and Drink Festival. Full list of events can be found on www.brightonfoodfestival.com. Previous Previous post: Celebrities on Beach Holiday – Where Can You Spot Them? location and interaction middle as nicely. The designers utilised plastics in an innovation way for seating.